After the sneaky peaks we’ve put on instagram, you’ll have probably guessed that a #MonetaParty is coming! 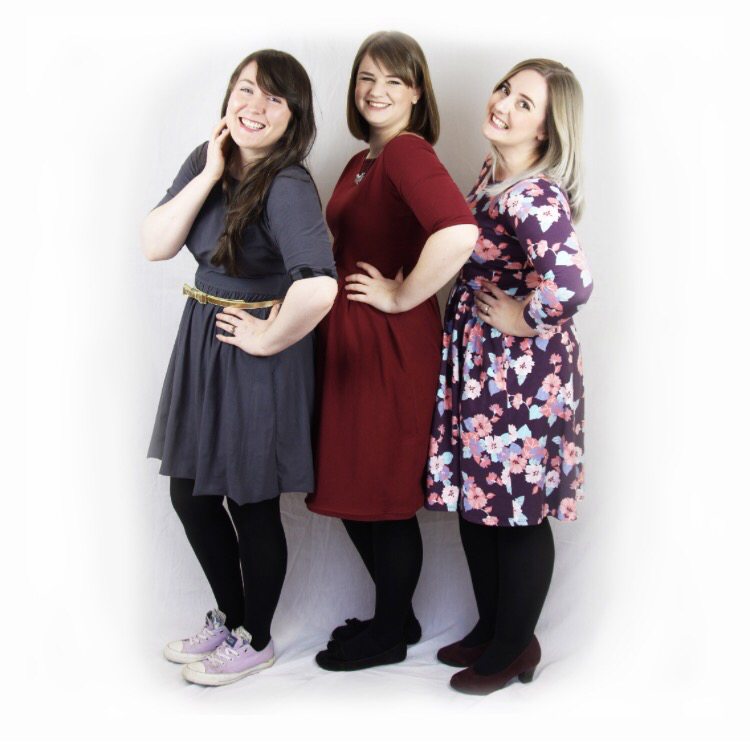 Rach, Elle and I have teamed up to form a trio of sewing super powers called The Triple Stitchers! If you joined in with the #InternationalAnnaParty that Elle and her two friends ran in summer 2015, you will be familiar with how the party worked. If you are new to the concept, or to sewing (hello and please join in!) and if you have forgotten, please have a gooooood read of all the info and rules below so you know what to expect. As the party is back for a second time, we have gone bigger than last time. There’s sponsors and there are so many wonderful prizes up for grabs!! The winners will be decided by our wonderful sponsors, ensuring that everything is independent of us as the hosts! 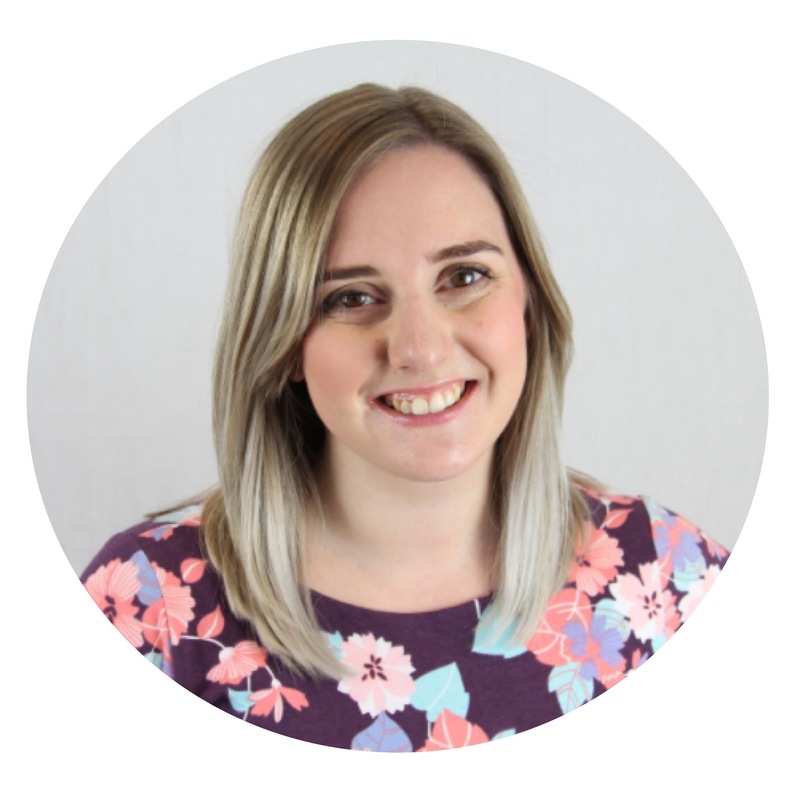 We have also done tutorials on the trickier parts of sewing the Moneta to help you if you’ve never sewn one before, and these will be uploaded over the next month. This will include sewing with jersey, elastic and doing the necklines. But you want to know about the prizes right? Well, you’ll have to wait to hear about those. We’re going to be announcing all the goodies to you on Instagram over the next month… one by one… so keep your eyes on our accounts to find out all the juicy details! One of the prizes we call tell you about it our first prize announcement. EVERYONE who shares the invite graphic on Instagram during the given times will be in for the chance of winning A SPROUT PATTERNS MONETA!!!! You heard it here first sewists. (or second as you’ve probably joined me from Instagram). ***In the comment section of your repost tag The Hosts, @sewpositivity, @rach_wain and @sewabigail so they see your entry. Here’s the small print. There’s always gonna be some. ***The repost competition is open internationally from now until Feb 22nd 11:59GMT. ***Prize consists of store credit for one Colette Moneta x Sprout Patterns dress. ***No cash alternatives will be offered. ***Customs fees and shipping are the responsibility of the winner. ***The winner and the prize will be announced publicly on Instagram during the dates of the event. ***No accounts soley used for giveaways will be considered and the prize providers have the right to withdraw or change the offered prize without notice or reason. ***Hosts have the right to withdraw or cancel the event without reason. Now for some more general questions and answers about the party! We thought that a questions and answers section would be really helpful. If you have any other questions, big or small, just comment below or message on Instagram and we will get them answered for you! What is a Moneta Party? I don’t use Instagram, can I still party? I’m not one to stop anybody partying, but I’m afraid this is an Instagram kinda thing. Get on over there and join in. How did this party come about? In early 2016, Elle, Rach and I had bonded over a general love of sewing and a crazy collection of Monetas. We wanted to do something fun that we could all arrange together, but include all our lovely sewing friends. In summer we started talking about doing a #MonetaParty so we are making it happen! Why the Moneta dress pattern? When we (The Triple Stitchers) first met, both myself and Rach were basically nose deep in Monetas, wearing them pretty much every day (I now definitely wear them every day!!). We inspired Elle to make one and she’s never looked back. We want to share this love with everyone, and hopefully get people over the irrational fear of jersey! I had the fear myself a little over a year ago, but I am so so pleased that I tackled the “challenge” as it’s the best thing I have done. We also needed a pattern that’s completely international and available to all sewers who want to join in and as the Moneta is available as a PDF it’s perfect! Do I have to sew a new Moneta dress? Absolutely not. You can post a picture of any Moneta you’ve already made, as long as you’ve made it. Of course we are giving you just over a months notice in case you haven’t ever made an Moneta or you want to make a new one. I don’t have the pattern, where can I get the pattern? The pattern is now available as a PDF from Colette patterns. Head over there and support them. It can also be purchased at many bricks and mortor shops around the world, AND if you have a Seamwork mag subscription don’t forget you can use your credits for Colette PDFs now too. You have no excuse! I don’t want to sew an Moneta, can I enter with another dress? My account is private, can I still enter? Here at Moneta Party HQ we understand the need for privacy. It’s your right to add and talk to only people you want and we don’t want to mess with that. Sadly if your account is private and even if you follow one, or all of the Hosts, the Independent Judge will not be able to see your entry and for that reason we are only allowing public accounts to enter that are visible between Thursday 12th January 2017 18.00 GMT and Sunday March 19th 2017 18:00 GMT. I have 20 Moneta’s. Can I enter 20 times? To keep it fair to all party goers we are accepting only one entry per person. You are very, very welcome to post as many pictures as you like of your Moneta over the competition period (we love a good outtake) but your first picture will be the one that is judged so keep that in mind. My Moneta is not a straight Moneta. Can I still enter? We love diversity and creativity. Not all bodies are the same and because of this you can enter Moneta’s that have had modifications for size for instance or other pattern pieces added like a different skirt. But the finished garment MUST be recognizable as an Moneta and have at least the top or skirt part of the Moneta clearly visible. Do I to wear my Moneta in the picture? I know that sometimes selfies and pictures of ones face can be stressful. No, you do not have to be modelling your Moneta, but consider that the picture needs to appeal to the judge’s eye. We here at #monetaparty HQ would love to see some silly, themed, quirky and fun photos (as would all our guests) and we strongly encourage you to have fun with this. If you want to chop off your head in the picture (not literally please) that is fine. I don’t follow any of the Party hosts, can I still enter? I’ve been following the party and someone has entered my Moneta! What a very naughty person! Please send any of us a direct message with a picture of your Moneta or link us to where they stole the image and we will remove their entry. We are only letting public accounts party with us to stop anyone stealing pictures and posting in private. I put my Moneta picture up outside the specified time. What should I do? Like all parties, you’ve got to have a start and end time. Otherwise life would just be one very long party, where we don’t get any sleep. If you submit a picture before the start time, please resubmit it during the specified times otherwise you won’t be entered into the contest. If you miss the deadline then I’m afraid it’s too late. Remember times are in GMT – check a time conversion site if you want the time that translates to where you live. I heard there would be prizes? There are two separate prize-giving events. 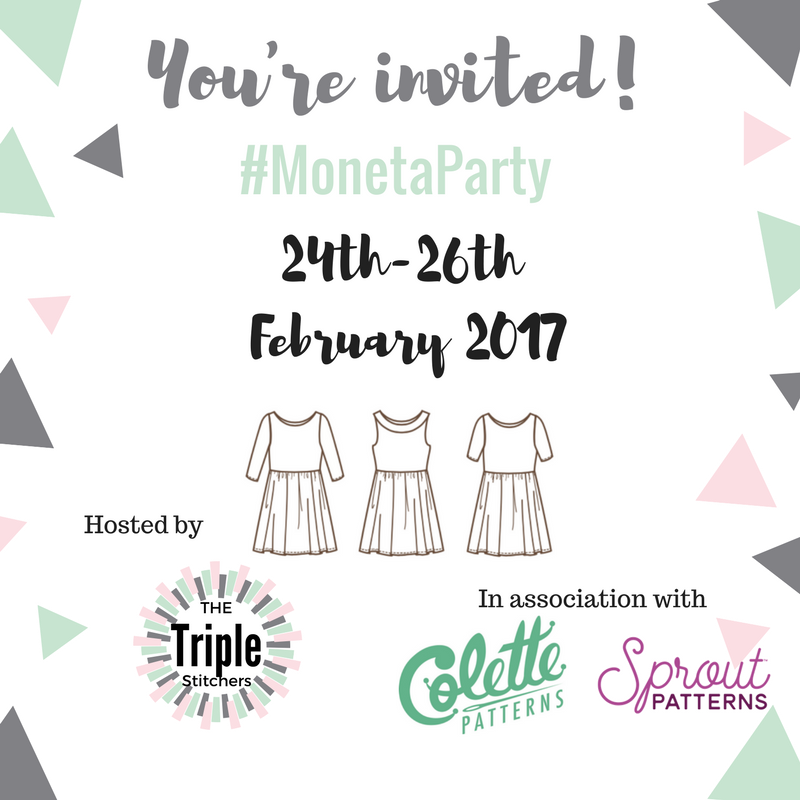 The first being the #MonetaParty invite repost prize draw, sponsered by Sprout Patterns as explained above, and the second being individual winners who post a picture of their Moneta during the party. The prizes are being finalized and announcements will be made on Instagram throughtout the weeks before the party starts. If you have any questions or just want to express you excitement about joining in, please feel free to leave a comment below. Let the party begin!! Can’t wait to see all your dresses! What a great idea Abi! When I think of you and Sewbrum the first thing that pops into my head is moneta! Oh that’s really cool. Yes it would be lovely then if the ladies who want to wear monetas do and take a picture so we can all see it and admire!